Hit identification is the most critical step to identify compounds able to interact with the fully validated target. There are different strategies available to identify good hits, devoted to maximizing the number of initial hits and hit series. At the same time, the strategy must ensure it reduces the amount of potential false positives, thereby reducing the risk of identifying a series of compounds that are suboptimal for development, spending resources on the wrong compounds. A successful hit identification campaign relies on the use of a high-quality, diverse library of potential compounds to be screened, but also capitalizing on other complementary techniques, such as virtual screening and fragment-based screening. This has to be coupled with the deployment of a battery of the most relevant and accurate assays for the specific target and disease state. Our dedicated team has decades of experience in hit identification utilizing all modern techniques, including both the chemistry and the biology necessary for the identification and refinement of high-quality hit series. A unique project team supports the design and implementation of a strategy specific to your project and your target. Different approaches can be developed and run sequentially, or in parallel, for optimal impact. Identified hit series are run through a battery of specifically designed assays and filters that ensure only the most promising series will be entering the hit-to-lead phase. Our team can support your hit identification efforts through strategy design, assay development, and screening activities. Assays can be transferred to our facility, where our team miniaturizes and validates them for high-throughput screening. Alternately, our skilled assay development team can design appropriate assays based on your unique needs. And once the strategy is devised and the tools are ready, our screening team stands ready to support your hit identification efforts. This includes providing access to our large, curated and diverse compound library, virtual screening and curated fragment library. 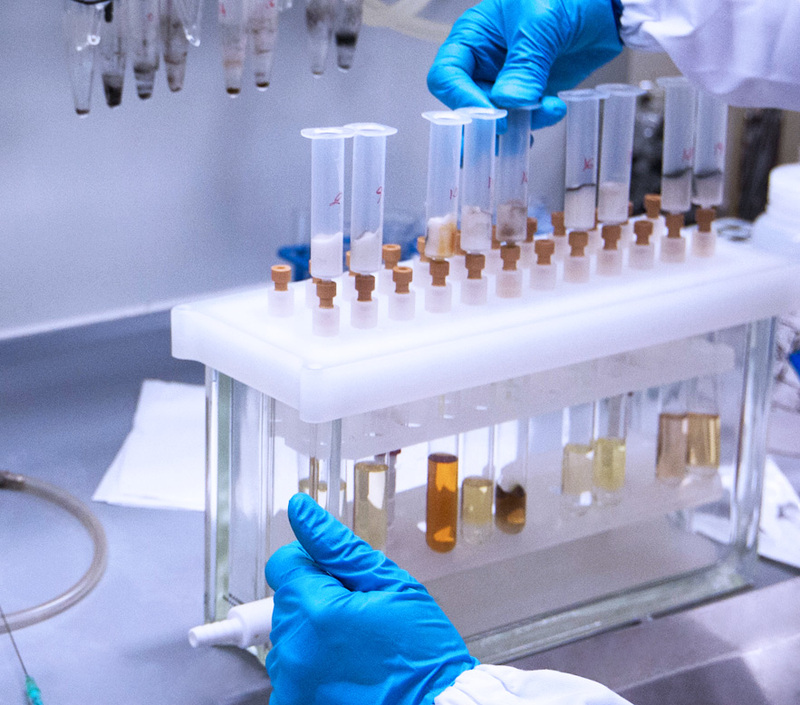 The unique combination of our team’s industrial expertise, scientific passion and desire to continuously innovate ensures our hit identification efforts yield high-quality, attractive compounds with the highest likelihood of success in later steps of discovery and development.